Famous Heinrich Heine said once: “If I only had enough belief to move mountains - the Johannisberg would be just the mountain I would have me follow everywhere” (our translation). We couldn’t agree more. 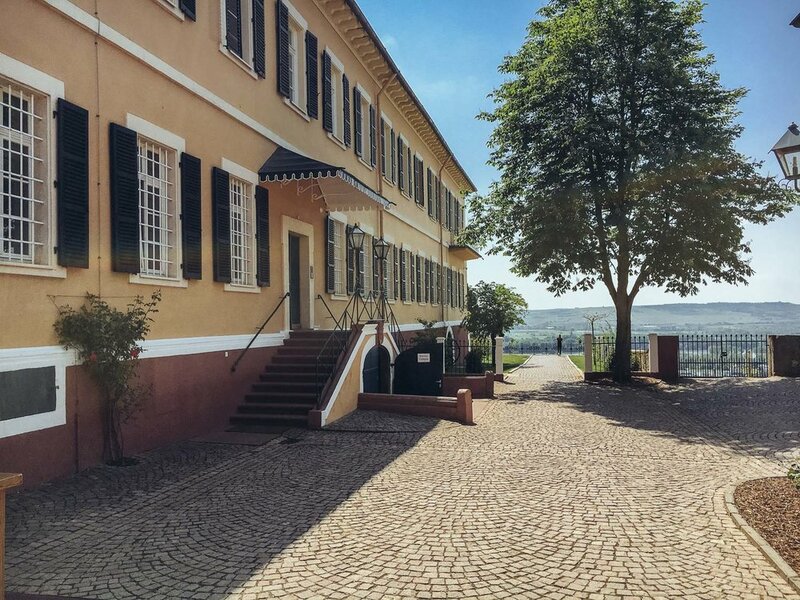 The Riesling of winery Schloss Johannisberg in the beautiful Rheingau is world-famous. 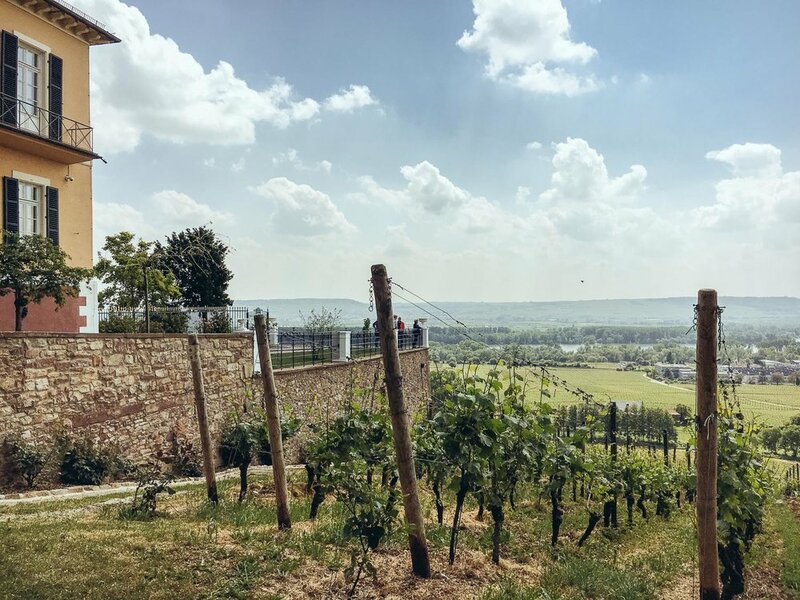 The mixture of the graphite in the famous mountain, the amazing tradition of the winery and the focus on great quality is a perfect combination that leads to amazing Rieslings of all quality levels. 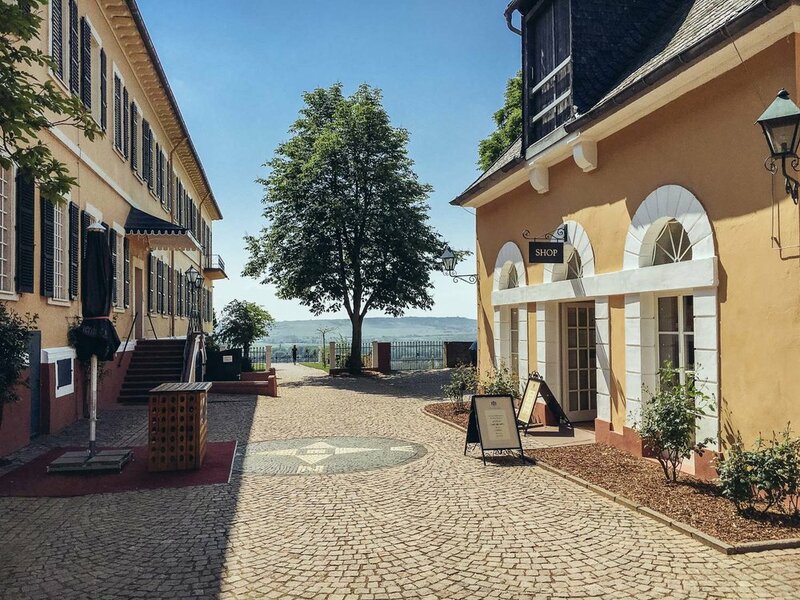 But our last trip to Schloss Johannisberg in the Rheingau region was not dedicated to the fine wines of the current vintages. It was dedicated to the really old ones. 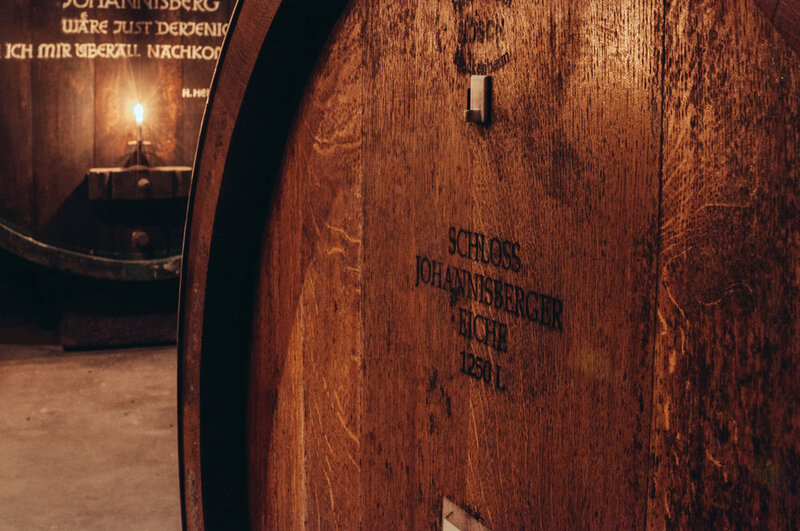 We had the honor of an exclusive invitation from Stefan Doktor, Head of the winery, to visit the famous ‘Bibliotheca subterranea’ the magic and historical wine cellar of Schloss Johannisberg. Usually, after you walked through the amazing halls underneath the castle your way ends at an old iron gate. You can see the sign ‘Bibliotheca subterranea’ and the treasures through the bars. But you can’t just walk in. You can imagine how exited we were after that invitation! 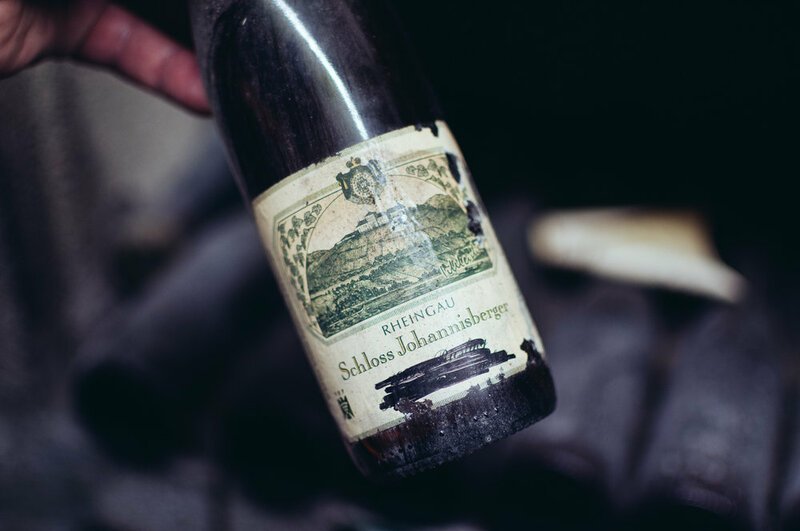 This is truly Riesling history, its roots. In 1782, the ‘Bibliotheca subterranea” was mentioned for the first time in the history books. In 1782! What were you doing back then? 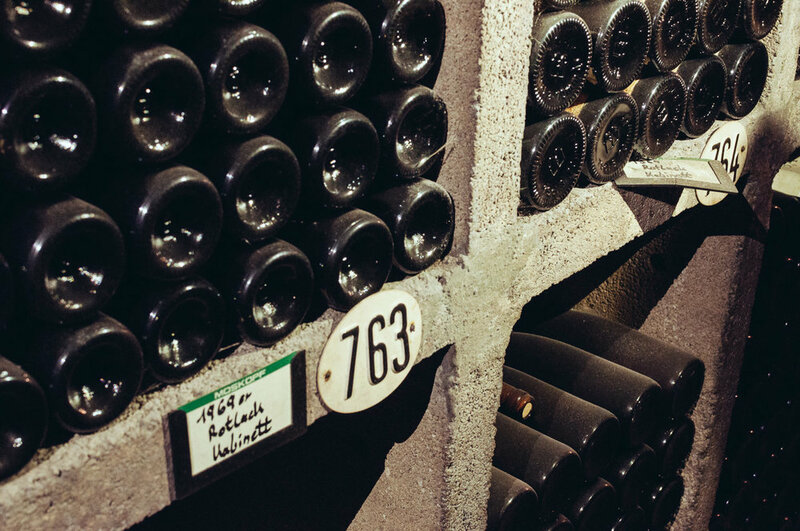 The oldest wine down there is from 1748. The War of the Austrian Succession was going on back than all over Europe (Maria Theresia won…). The United States of America were not even independent from Europe. An amazing experience. Just holding some of these bottles gave us a rush. 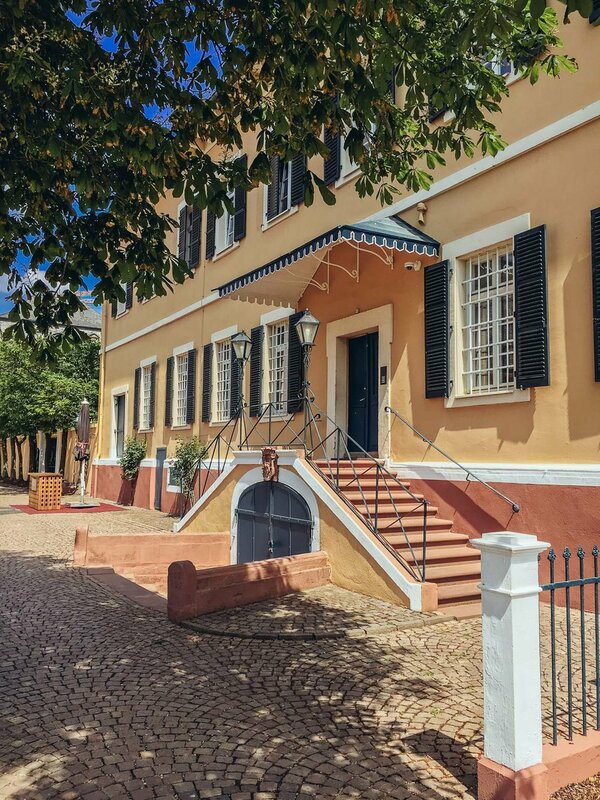 Walking through the centuries of Riesling give you a rough idea of the amazing heritage that lies on the shoulders of this exceptional winery. But they carry it! When you enter the area of Schloss Johannisberg you are entering a construction site. 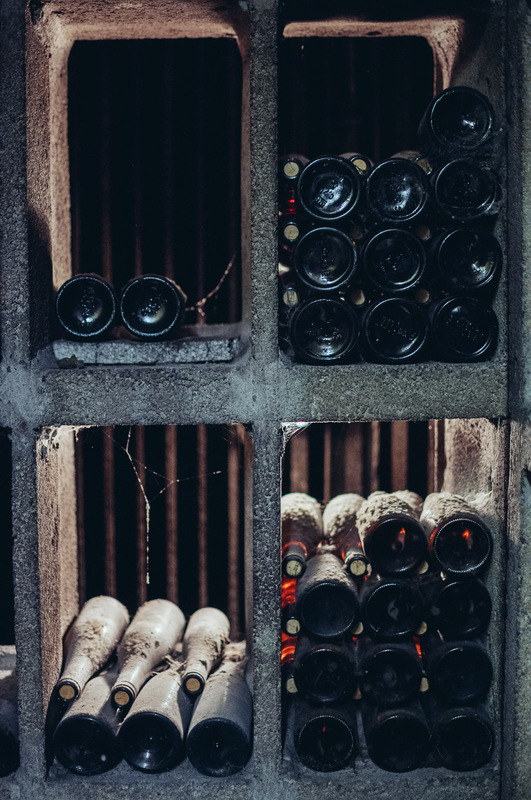 Because the future of this winery lies in the hands of visionary people. 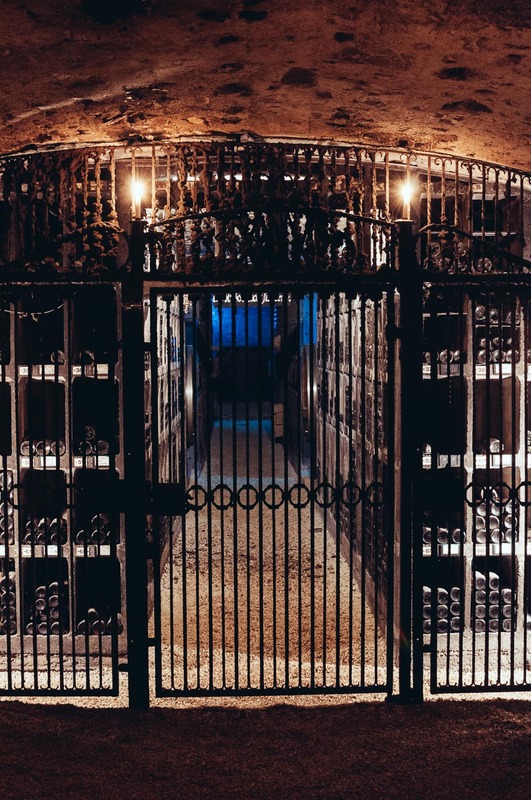 The wine cellar gets expanded. Room for steel tanks in addition to the wood barrels. So the entire production can be bundled in one central place. They also just updated their logic of quality levels to make room for even higher level dry Rieslings. 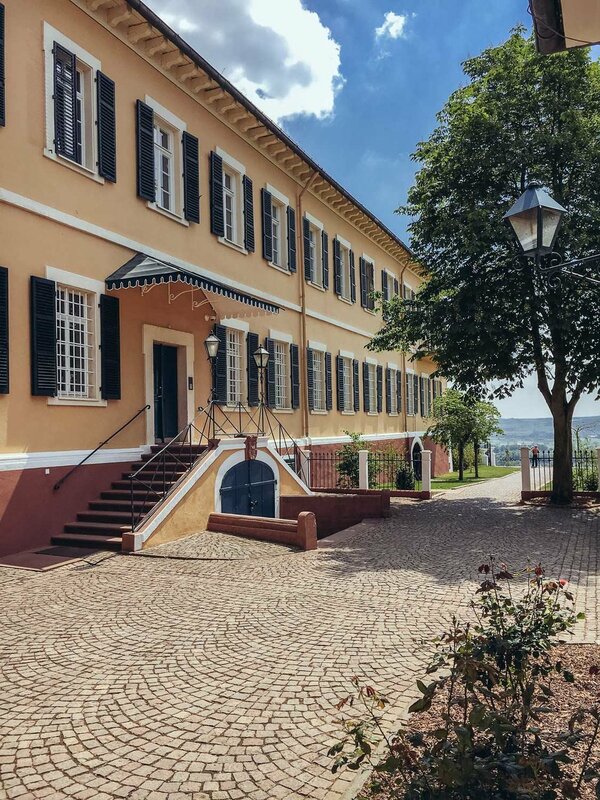 The future goes on and on in Schloss Johannisberg, just as the past does. We are really looking forward to that!